Join us for this free and active stream an appreciation of the best local spots you never dared to find on your own. 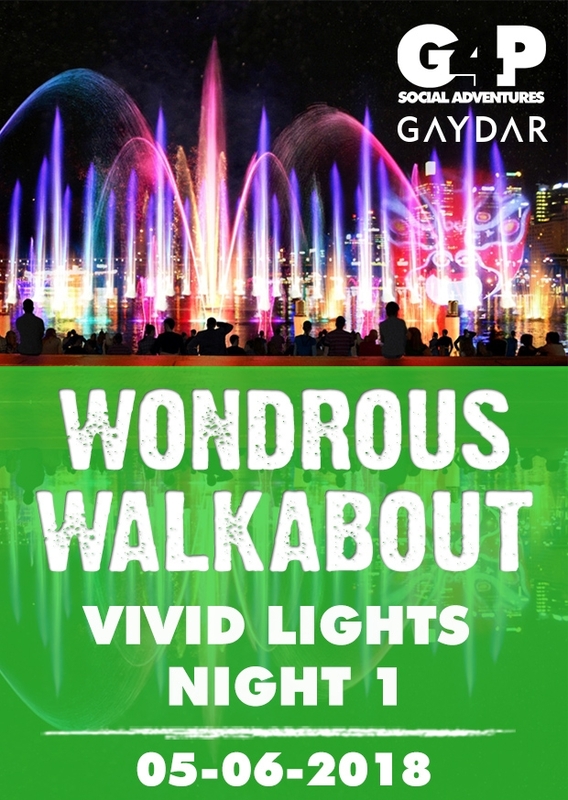 Wondrous Walkabout Goes Vivid Sydney – Darling Harbour and Surrounding areas! Sydney’s multi award-winning festival of light, music and ideas presents another innovative and awe-inspiring creative program over 23 days and nights in 2018. Get ready to interact with the latest light technology, be mesmerised by intricate light art projections onto the city’s most iconic structures and be inspired by the festival’s creative energy. Vivid Light transforms the city from 6 pm nightly into a creative canvas for people of all ages to enjoy. Go cruising on Sydney Harbour, choose a light walk that winds through The Rocks or from Martin Place to the Royal Botanic Garden Sydney. Visit Darling Harbour and Barangaroo for projection and fountain shows — or visit Taronga Zoo and Chatswood for immersive light activations that will amaze you.